Vacation Rental by Owner. 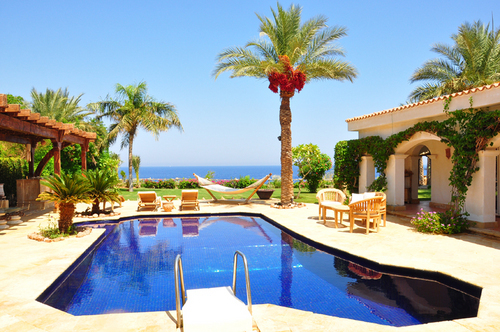 Holiday Villa in Sharm El Sheikh, Sharm El Sheikh, Egypt. Late Deals, Special Offers. Lagoon Villa - An exclusive beach front property. Vacation rental. Beach front with private pool and private lagoon located in a 5* hotel. On a cliff edge overlooking the mesmerizing Red Sea only meters away from the Sea shore accessible from a private external staircase. The ultimate location with the Prince of Qatar as your neighbour next door! Known for it's un-rivalled beaches and shorelines, Sharm El Sheikh has been rated as one of the best diving spots in the World. The Red Sea Riviera is precious as it is unique and with 365 days of sunshine, it contains all the ingredients to create a holiday of a lifetime. The marker is an accurate indicator of the property location.